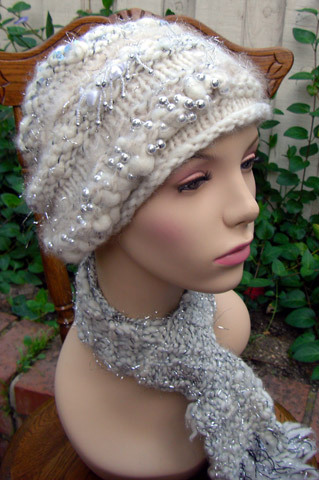 This is a medium to extra bulky loose knit one-size-fits-all lumpy knit hat that fully covers the ears. 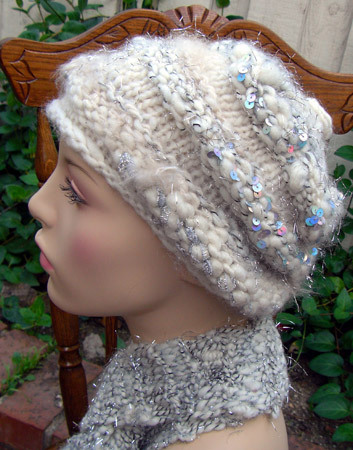 The wool is natural color white Corriedale and has been plied with silver ribbon, sequins, small and medium size beads and strips of silver mesh fabric. 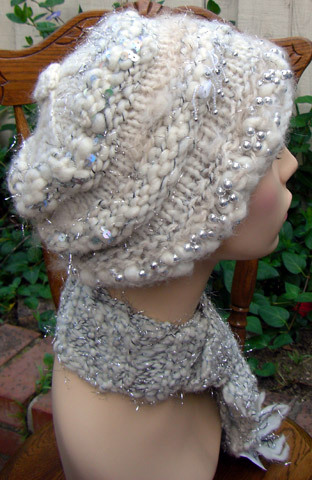 The top is two-ply Samoyed hair, which also appears within the lumpy sections and gives a soft, fuzzy halo to the hat. 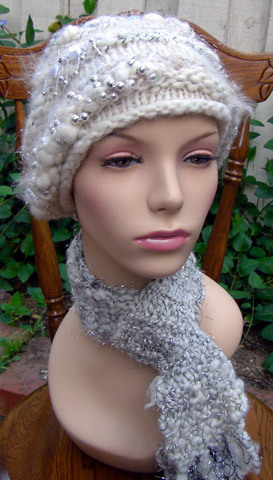 The scarf is more white Corriedale wool with silver novelty eyelash added. It's about 5 feet long including the fringe and about 3 1/2 inches wide.